Virgil - A Roman Representation. 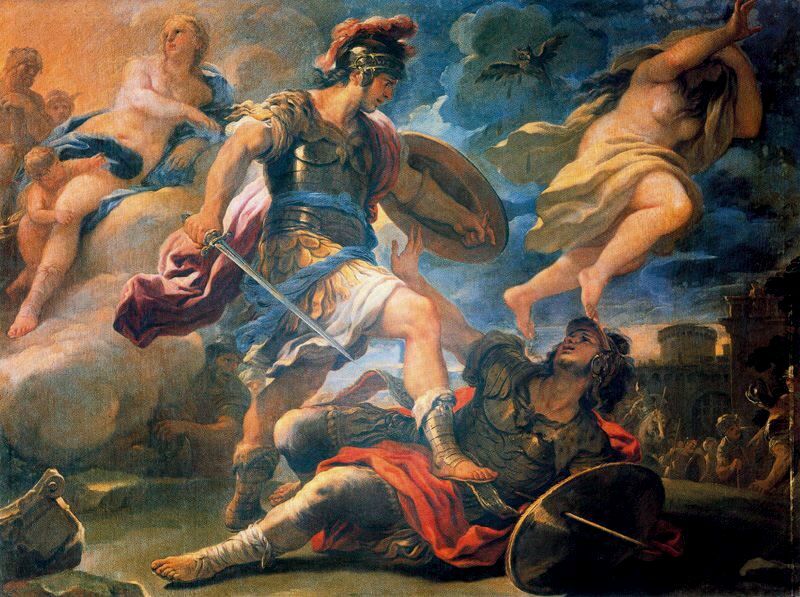 Iliad begat Aenid begat Commedia…Virgil links two classic works 2,000 years apart with a masterpiece of his own, wherein Aeneas goes to Rome and wreaks Trojan revenge on the successors of Attic Greece, with everyone satisfyingly getting what’s coming to them. Full of images and phrases resplendent either in English or in dodgy Latin. Virgil should not be overlooked: he should be drilled into the heads of schoolchildren (for their own good, to cure their terrible mental stooping!) And should any educator object to or shirk this responsibility, they shall go to a place where the locals ausi mones immane nefas ausoque potiti (purpose dreadful deeds and get their way). TVC recommends the modern translation by Robert Fitzgerald or the crusty, the fin-de-siècle (1890) rendering into English prose by John Conington, if you can’t find the Loeb 2 volume edition by Fairclough & Goold, that is.